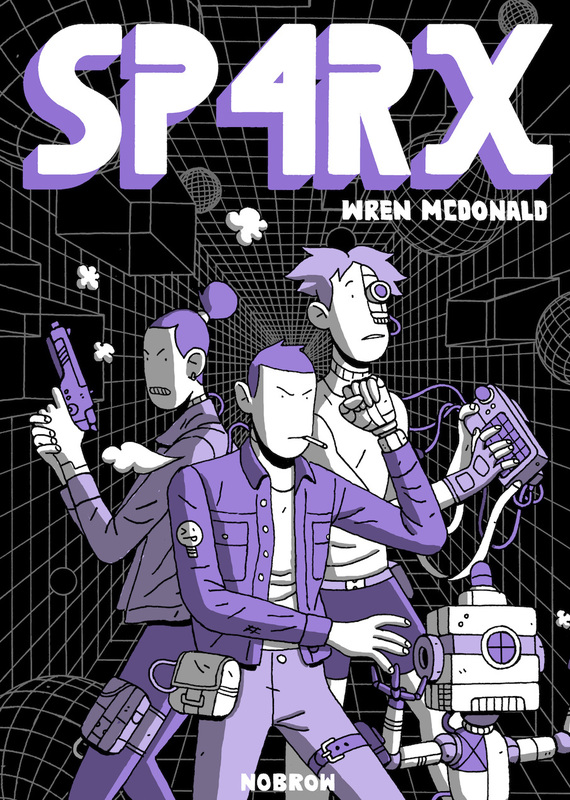 SP4RX is a dystopian science fiction graphic novel about the title character, a young hacker, uncovering a plot by the wealthy elite to control the working class via cybernetic implants. 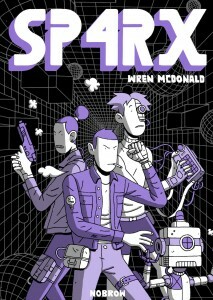 The book received numerous positive reviews and was named to at least two best-of-the-year lists: Kirkus Reviews’ Best Teen Books of 2016 and Den of Geek’s Best Comics of 2016. In order to try to get a book removed, parents have to fill out a form. School officials will try to work with the parent to find a resolution. If further action is necessary, a committee of school officials and parents from different campuses will be formed. That committee will be required to read the book and determine if it should be removed from campuses. The fact that this was the district’s sole response to the inquiry is probably a good sign, suggesting that administrators will follow the challenge policy rather than being swayed by sensational reporting or fear of public backlash, as happens all too often in cases like this. We will be watching closely, so stay tuned!